Via: hispanicallyspeakingnews.com A group of Latino entertainers, among them actor Edward James Olmos and actor/screenwriter Rick Najera, launched on Monday a campaign to promote a November ballot initiative to increase funding for California’s public schools. 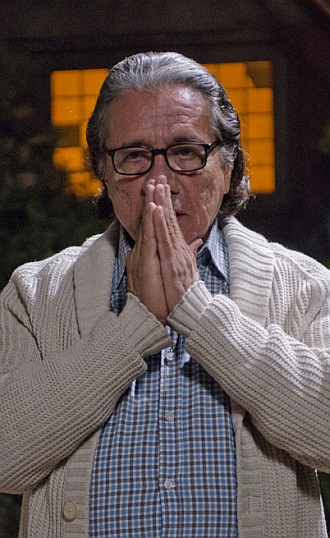 “We’ve done much harm to our children by removing the money from the schools to pay for other things that the government thinks are more important than education,” Olmos, the star of films such as “Stand and Deliver” and “Selena Remembered” and television series “Battlestar Galactica,” told Efe. Proposition 38 suggests an increase of 2.2 percent in taxes on individuals and companies having annual incomes greater than $50,000 with the aim of collecting funds for public education. “With that, we have a problem, because we’re spending more money to jail kids than to educate them,” said the actor, who is fighting along with teachers unions, students and other activists like the family of legendary farmworkers leader Cesar Chavez. Olmos, who attended Belvedere High School in Los Angeles’ Boyle Heights neighborhood and earned a degree in sociology from California State University at Los Angeles, is the president of the “I Am 38” campaign, which artists such as Johnny Sanchez, the voice of Lombardo in the animated film “Happy Feet,” have joined. “The education system in the public schools when I was studying was much better than now,” Rick Najera, a graduate of San Diego State University, told Efe. “At this time we’ve lost 40,000 teachers just in California, we’re 47th out of 50 in allocation of funds for education and by class size we’re in last place,” he said. “In other words, our kids simply have a place where they’re spending the day in the schools; but they’re not being educated. And that has to stop,” the star of the Broadway play “Latinologues” said. “These funds that will be destined for public education will benefit all Californians, but particularly minorities like Latinos, almost all of whom are educated in public schools,” Najera said. “I think that the dominant political class in California doesn’t want us Latinos to have the funds to pay for our education because we’ll only find very low-paying work like cleaning (jobs),” he said. The artist said that his Mexican-born grandparents could only attend school up to third grade, his parents studied up through high school and he graduated from college. “And that’s the difference in the United States that we new generations can progress through education,” he said.